Hello people! Hope you are going good with this summer. For your summer formal and festive wardrobe i have shared several no of collections for Men and women. 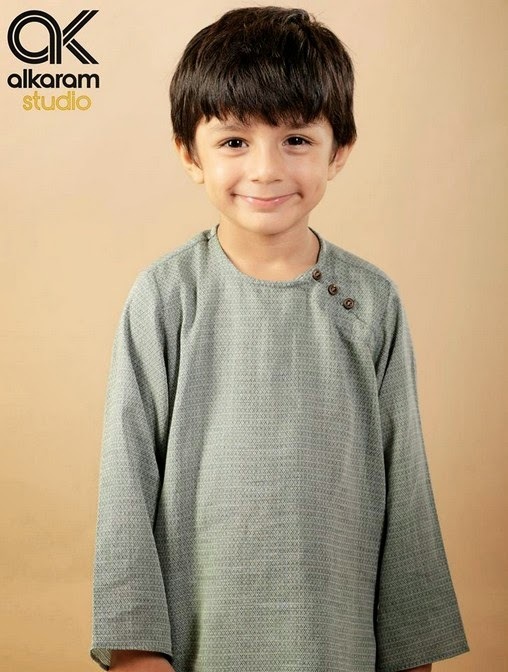 Now its time for Kids, Yes i am going share Latest Eid Festival Collection of Kids Wear Formal Dresses For Little Boys and Girls by Al Karam Studio 2014-2015. 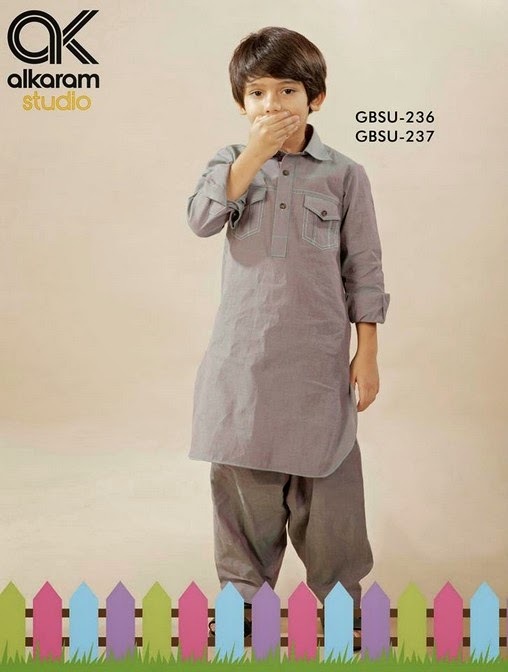 Al karam is well known popular brand of Pakistan who deals with men, women and Kids Clothing. This brand is highy famous for its innovative designs and unique patterns. Apart from this, it also deals with other accessories like Handbags, Shoes, Glasses, jewellery and many more. Umer Sayeed is one of the senior artist and designer of Al karam Studio who layouts very elegant arrivals of Women dresses. 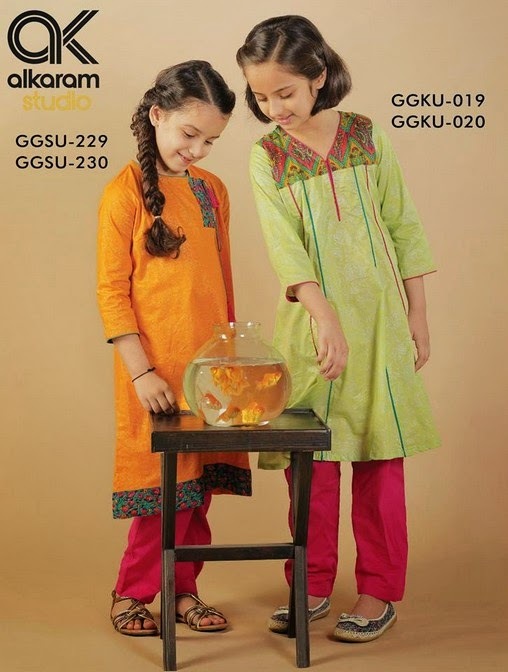 Recently i have posted his latest set of clothes for ladies terming as Alkaram Festival Collection for Women. 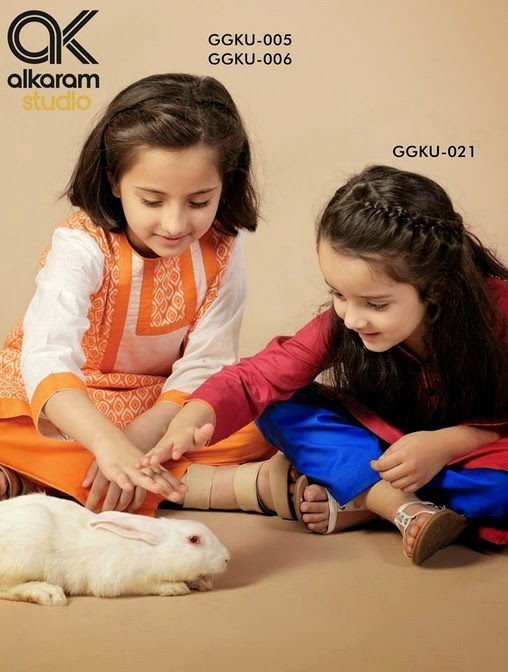 After that this brand has just currently introduced very special assortment of Kids wear fancy and stylish dresses for little girls and boys. 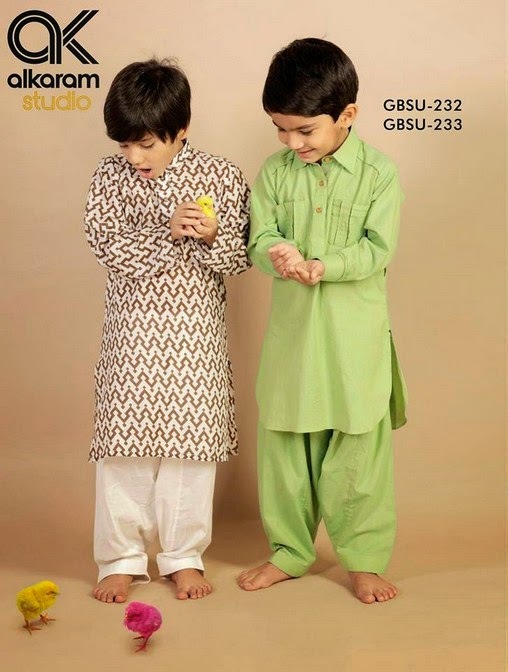 The series includes Kids Salwar Kameez, Kurtas, Pant Shirts, T Shirts, Jackets, Punjabi Suits, 3 piece pant Suits for boys. 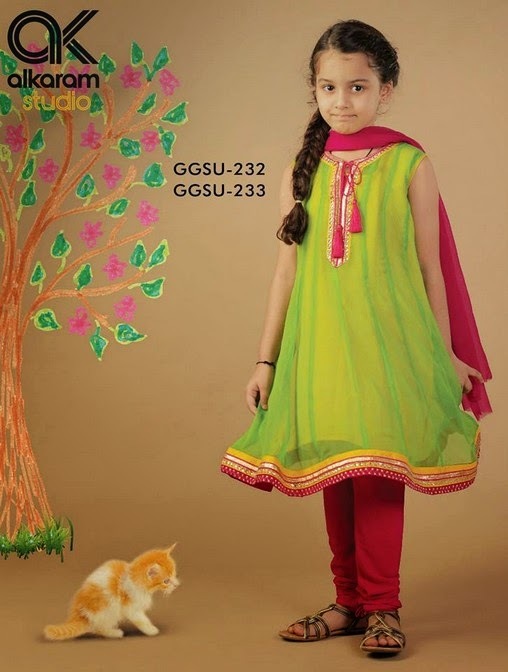 For girls the collection consists of Long baby shirts, medium length frocks, maxi dresses for baby girls, angrakha dresses, gown style frocks, ghararas and churidaars. The dresses are beautifully designer stitched and adorned with delicate embroideries, gotta and stone work at necklines, laces and cuts. 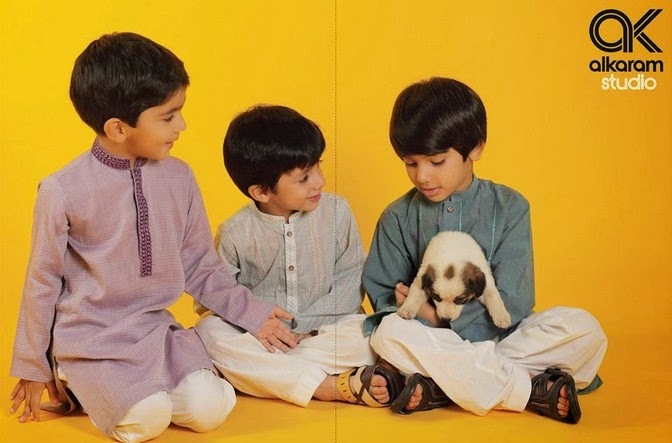 Eid is a more special day among children than adults, mostly parents are worried about selecting the appropriate dresses for their beloved children. Now u don’t have to worry about it because this gallery will really help you in this regard. This exclusive collection is now released, you may catch it online through any of the E store provided or through the official website. You can bring out your favorite piece through any of the outlet nearest to your city. 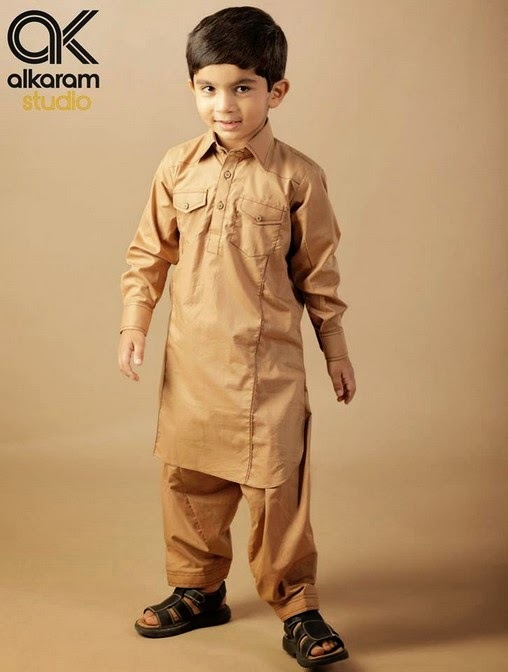 These Mind blowing and amazing designs will really make your child’s temperament charmingly appealing and alluring. 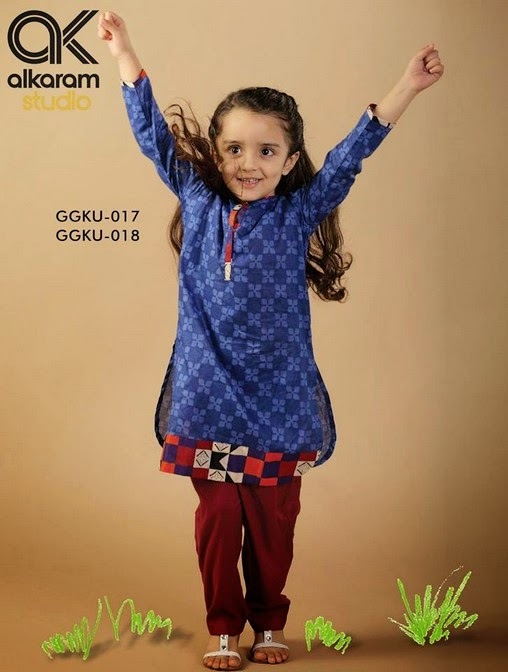 Shirts for Little girls and baby girls are awesomely stitched and well embellished with sophisticated amounts of motifs and crystal. Pearl buttons are added for more chic look. 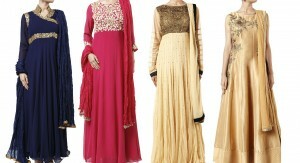 You can pick these attires for any sort of event wear functions, festivals, parties, gathering and many more. The beautiful bold and vivid coloration patterns are use, keeping in mind the festive colors like Bold red, Pink, navy blue, black and many more. 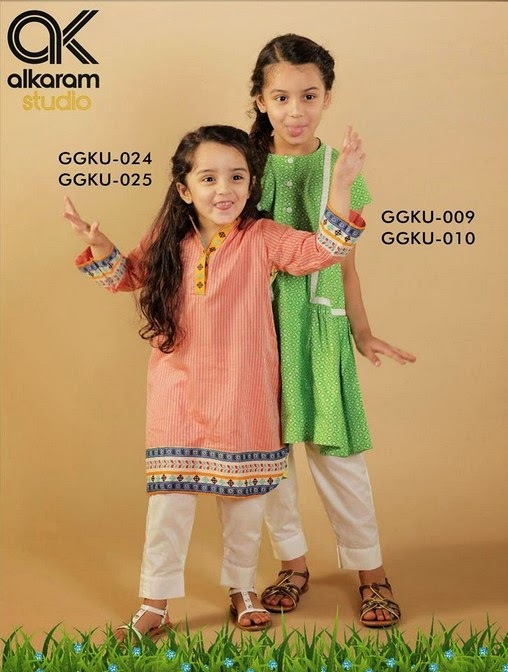 Get these trendy outfits for your Child today and stock their wardrobe with most fashionable and designer made dresses. Keep visiting StylesGap for latest fashion and style stuff! 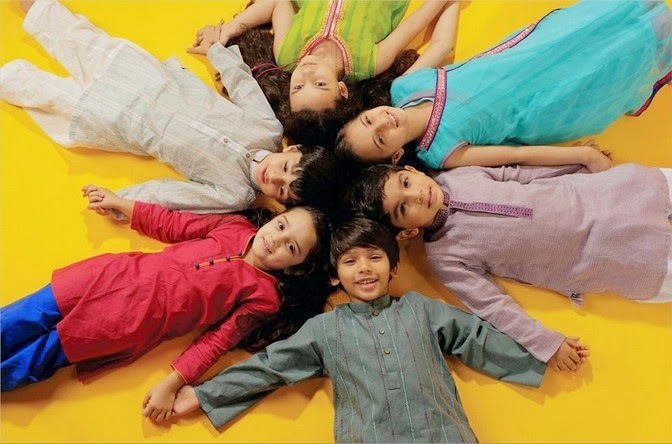 Junaid Jamshed Spring Summer Kids Collection.